Imagine that: Paddling along the rocky Costa Brava shore, stopping here and there to swim and snorkel in the inlets hidden among the rocks, land on a lonely beach and enjoy a picnic, swim or laze on the beach. Stop imagining. Come with us to Costa Brava! 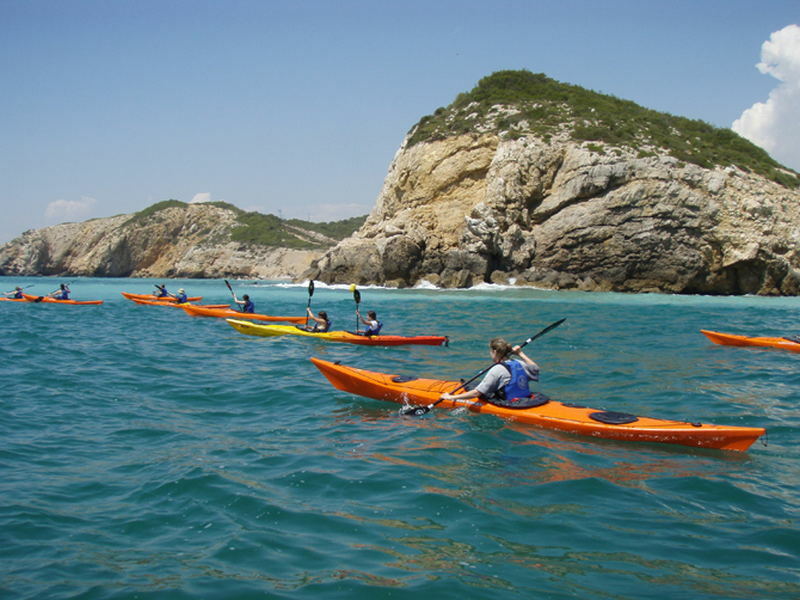 The Costa Brava (the wild coast), north of Barcelona, is considered to be one of the best places for sea kayaking. This trip is a whole day long, and includes about four hours of kayaking as well as snorkeling, lunch and a rest. Our guides will accompany you along the whole course, making certain of safety above all. There is no need for previous experience in order to take part in this excursion, and people of all ages are invited to join. An hour’s drive north of Barcelona, a short instruction, and we are off sailing tranquilly along the rocky Costa Brava shore, stopping here and there to swim and snorkel in the inlets hidden among the rocks. After two hours or so, at about half time, we will land on a lonely beach on the Costa Brava where we will enjoy a good picnic, and swim or laze on shore. After going back with the Kayaks to the starting point we will stop at a café on the beach.